It’s easy to blame others for the consequences of our choices. It is hard to take accountability and own our own choices. We need to get to a place in our lives were we accept that our consequences are our own. The blame game has no winners. The more we play the blame game, the greater our losses are. Accountability is what I call a “grown-up” word. Being a grown-up requires maturity. There are a lot of adults who have yet to transition into being a “grown-up”. I used to be in that not yet a grown-up crowd. The truth is, there are still times in my life where I venture back into the non grown-up world. Let’s face it — being a grown-up is hard some days. Accountability for my choices and the consequences that arise from these choices is a huge step in healing and victory in one’s life. Without accountability to oneself and becoming honest (even when the honesty makes us uncomfortable) we stay stagnant and put a ‘victim’ label on ourselves. Who really wants to be a victim for their entire life? In order to transition into a grown-up, one must take responsibility for one’s own actions. This requires shedding the victim mentality and putting on a victorious mentality. Working with women who walked down some extremely tough roads I would encounter two types: The victim and the survivor/warrior. The victim would share their story by blaming. “I am who I am because of the harms that were done to me”. They would hold on to all the harms that were done to them and would not want to release them. They would use the past harms as an excuse to react in ways that were not healthy for them or for those around them. I would try to challenge them to look at their life with a different perspective. Sometimes some would be willing and sadly sometimes some would not. The ones that would attempt to look at their lives with a different lens and see how the blame game was actually making their lives worse, were more often than not, able to walk into greater victory in their lives. They were able to recognize the further harm their own choices were causing them. The ones that wanted to hold on to the victim mentality continued to be the victim and stayed stagnant. It would sadden my heart to be a witness to the pain that they stayed in. The survivor/warrior would share their story not with blaming. “I am who I am in spite of the harms that were done to me”. They understood that they needed to walk away from the blame game. They were able to be honest and acknowledge the harms that were done to them, yet they didn’t need to live there. Once they were able to move into the survivor/warrior perspective, their healing began. I am not going to tell you that it was easy for them. Letting go required a lot of strength, courage and faith. It also required them to own their own choices and be both accountable and responsible. Have you heard of the phrase, “you are pushing my buttons”? It may have been said to you, or maybe it is something that has come out of your own mouth. We treat someone with disrespect or rudely and instead of owning our choice to treat them that way — we blame them for “pushing our buttons”. Stop and think about that statement. “You trigger me”. What does that really mean? Triggered means to have an intense emotional or physical reaction. It could be anything that reminds you of a previous trauma or negative experience. It occurs when a person is reminded of any certain memory of an event that has caused them trauma, harm or feelings of being uncomfortable. These “triggers” cause a negative emotional response. 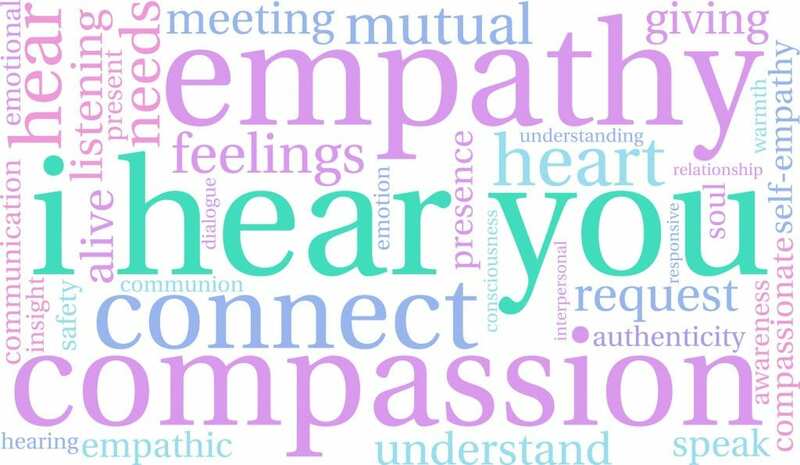 These emotional responses can be fear, panic, sadness, pain, and even flashbacks. These emotions can even cause physical discomfort — shaking, fatigue, headaches, loss of appetite, and so on. I don’t want to trigger people and I felt sad that I triggered this individual. Seeing someone in pain is never easy. I had to really ponder this — Am I responsible for someone else’s triggers? Is it my responsibility to make sure that I don’t “trigger” them again? Let me be honest — people trigger me too. Does me being “triggered” justify treating someone else in a negative manner? Is it that person’s fault that I am feeling “triggered”? The simple answer is — no. There was a time in my life when I used to blame others for my reactions to them. In fact I would use it as an excuse to lash out in my hurt and anger. I would justify my response — after all, they are the ones that “triggered” me. They are the ones that “pushed my buttons”. It wasn’t until I realized that I am responsible for how I choose to react or respond. Just because I feel ” triggered” does not give me the right to treat someone meanly. I had to “grow-up” and start walking in accountability and being responsible for my own actions. It was time that I shed the victim mentality and put on the survivor/warrior robe. One of the most beneficial skills I have learned is to respond to situations and not react to them. I wish that I could say that I have a 100% record on this, however, I am so much better at this skill than I once was. I am a work in progress. It is easy to react. In fact there is no skill nor thought that needs to be put into it. All it takes is to be on auto pilot and automatically take action. 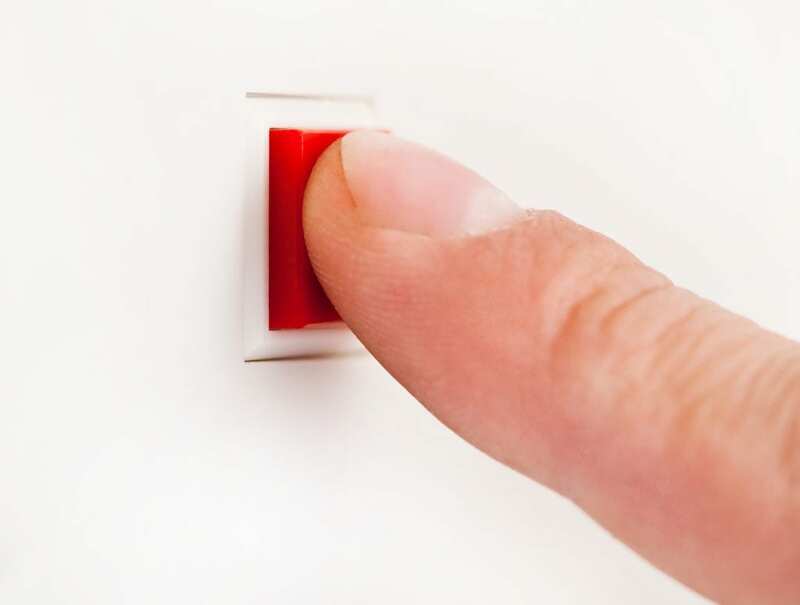 No need to exercise any self-control — just let loose. Biting words and sarcasm are often the result of reacting. Reacting leads to more hurt feelings and broken down relationships. It also leads to greater pain and more adversity. It is much harder to respond. To respond means that I have to use some self-control. It requires me to take a moment and think before I speak. To respond conveys that the person I am talking with is important to me and that I value and respect them. Responding is listening to another with the main goal of understanding vs being heard. 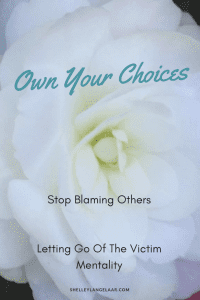 When I respond I am taking ownership of my own choices and not pointing the finger and casting blame. Once I take ownership of my choices I can then begin to heal and or grow. It’s a lot of work to learn to respond rather than react. It’s a lot of work to own personal choices. It takes accountability, honesty, self-awareness and that dreaded self-control. However — I believe it’s harder to live a life without responsibility and accountability. There is a lot less peace and serenity. I also like the consequences better (not all consequences need to be negative 😀). Today I choose to continue to work on self-control, honesty, self-awareness and accountability. It is my responsibility to myself to work on these areas of my life. Today I choose to own my choices and cast away blame. Today I choose to love others and love myself. I may have been a victim at times in my life, however that does not mean that I have to live with a “victim mentality”. Today I get to choose to be a survivor/warrior. I get to be a “grown-up” and walk in accountability and responsibility. Today I get to move forward into the victorious living that God wants me to live in. Father God, thank you for showing me the truth and for leading me to shed the victim mentality. Thank you for loving me enough, to show me the damage that I was causing myself by playing the blame game. Forgive me for not letting go sooner and for not taking responsibility for my own choices. I ask that You help me to learn to respond as I have a tendency to react. May you heal the relationships that I have damaged due to my lack of self-control and not wanting to be accountable for my own choices. 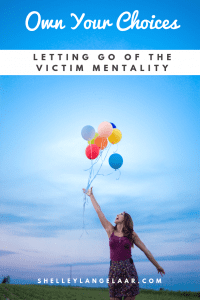 Are you ready to shed the victim mentality? Are you willing to own the consequences of your own choices? If not, what is holding you back? If so, drop me a line in the comments. 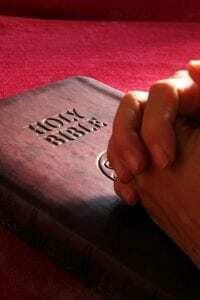 I would love to hear from you and pray for you. The magnitude of God’s love for you. Such great thoughts here! I especially love the idea of learning to respond and not just react in the moment. Something I sure could work on. Learning to respond rather than react is SUCH a powerful tool to learn in our lives! I preach this all the time (and am still learning it, myself!) 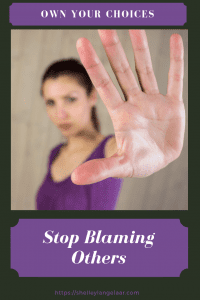 It is really important to move on from the blame game in order to forward true healing in our lives. Not only to be a survivor, but to thrive. So many, myself included have had the victim mentality at some point. Honestly, mine came from my childhood. I allowed that to dictate my future. Once I realized, I am not my past. I was able to grow. I’m so thankful for God’s grace and mercy. Bc without it, I’ll still be crying victim. So many people get caught in the trap on the victim mentality as that is what they learned as a child. I think it it awesome that you have moved forward and have grown from that experience (s). I too am so grateful for the grace of God. Isn’t it awesome how our struggles can help others get through their struggles. Blessings to you. These are some really great tips! I love this type of stuff. Responding rather than reacting is so hard sometimes. You really have to have self-discipline. Your topic itself a great catcher to read the blog further. Love each and every other word. “Learning to respond, not react” so powerful! Next time I am triggered I am going to remind myself of this. Thank you!